It is a perfect spring day in Lewiston, Maine, and Fereshetian is finally getting to spend some quality time with his discus throwers after a few weeks of rough weather. Today is a great day to coach Bobcats, and Fereshetian makes sure his throwers come over to his tablet after each throw to review video of exactly what they are doing right and exactly how they need to improve. 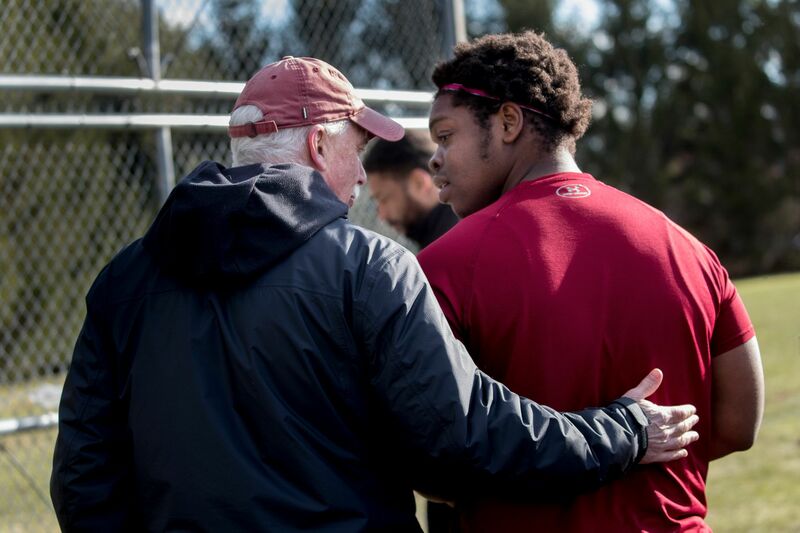 Fakorede is the latest in the great tradition of Bates throwers, and the latest to praise his coach’s knack for bringing out the best in their shot put, weight, hammer, discus, and javelin efforts. 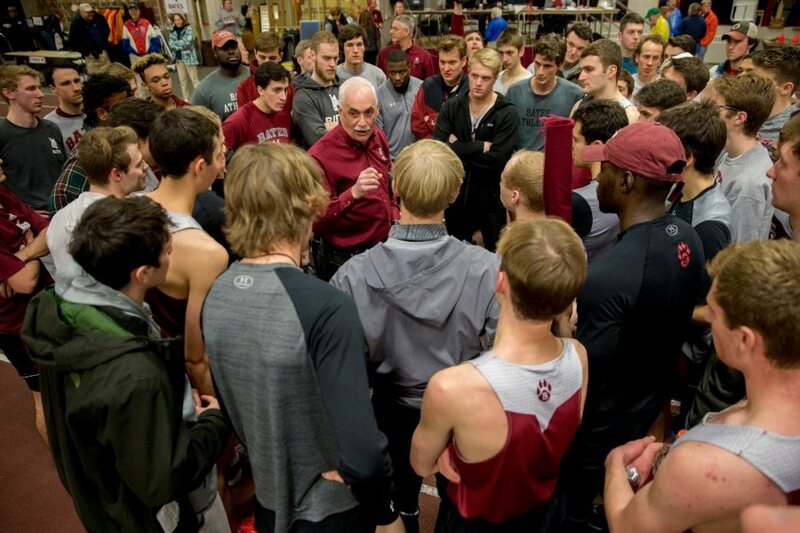 Fereshetian has been doing it all for his Bates athletes since 1995, before any of the current Bobcats were born, carrying on — and building upon — the great post-World War II reputation of Walter Slovenski. In 43 years, Slovenski produced 26 All-Americans overall, including five national champions, such as Wayne Pangburn ’66, a national titlist in the hammer throw in 1965 and 1966, whose success was a harbinger of things to come for the Bobcats. From late in Slovenski’s tenure and continuing through Fereshetian’s — 1991 to present day — Bates has produced at least one All-American in either the weight throw, the shot put, the hammer, the discus, or the javelin every year. That is a streak of 28 years and counting. And all told, 16 of the 21 national champions in Bates track and field history have been throwers. Bates has 31 varsity sports and among the current head coaches, Fereshetian is the second-longest tenured. 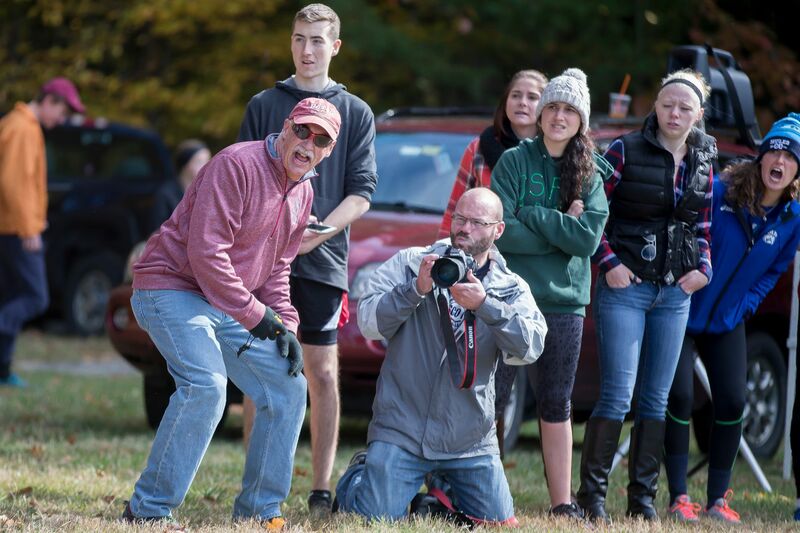 His cross country, indoor, and outdoor track teams are regularly among the top handful in New England and, by extension, all of Division III. 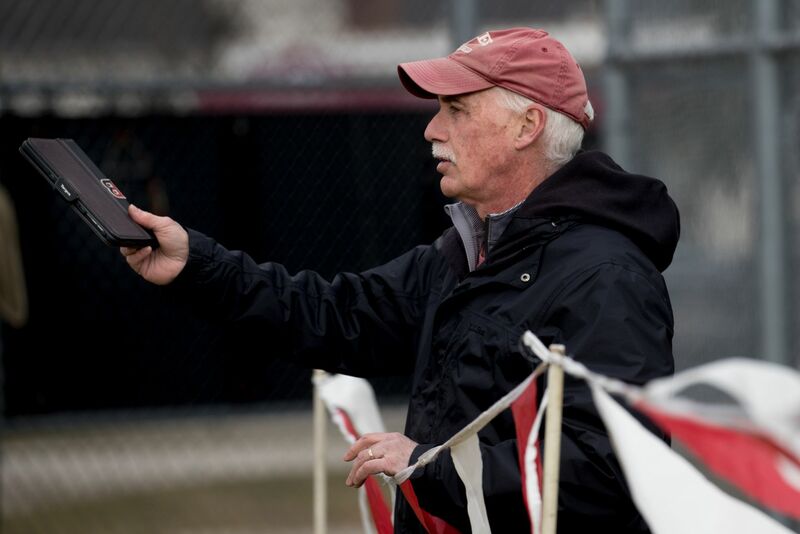 For example, Bates has placed among the top three teams at the New England Division III Outdoor Championships in each of the past nine years. But to understand his success, first you have to understand him. Fereshetian was born in Arlington, Mass. The son of first-generation Armenian American doughnut makers, Fereshetian spent his formative years in New Hampshire playing a lot of hockey. In eighth grade, as he started running to stay in shape for hockey, Fereshetian discovered a passion that changed the course of his life. Fereshetian went to Bentley College planning to major in business. “I would study for an accounting exam for maybe two minutes, but I found myself constantly thinking about running,” Fereshetian said. He decided he wanted to coach, and developed a 10-year plan, to culminate in a Division I head-coaching job by the age of 30. It was a far cry from taking over Charlie’s Donuts, the family business. Fereshetian transferred to the University of New Hampshire and didn’t wait for graduation to begin coaching. He headed up the track and cross country program at Somersworth High School and volunteered with the UNH women’s track and field team. For the first time, he focused on the throws, bringing atomic precision to the task. Jim Boulanger is in his 33rd year as the head coach at UNH. But when Fereshetian arrived, Boulanger was still an assistant. Boulanger had no background in track at all and Fereshetian, with his running background, was learning to coach the throws. The two became fast friends, bouncing ideas off each other, and growing as coaches together. They are still close. After graduating from UNH in 1983, Fereshetian landed a position at the University of Kansas where he coached, among other athletes, two javelin throwers who qualified for the 1988 United States Olympic Trials. In 1989, Fereshetian became the head coach of the Division I program at Appalachian State University, where his success eventually earned him a spot in the university’s Athletics Hall of Fame. He was 30 at the time of his appointment. He had executed his 10-year plan to perfection. But seven years at Appalachian State convinced Fereshetian he needed a change of scenery. It was time for a new plan. Bates College and the Division III ethos were the perfect fit. Fereshetian succeeded Slovenski, and he knew from experience that the best way to replace a legend is not to. He had the time to be himself thanks to one of Bates’ great assistant coaches, Joe Woodhead. 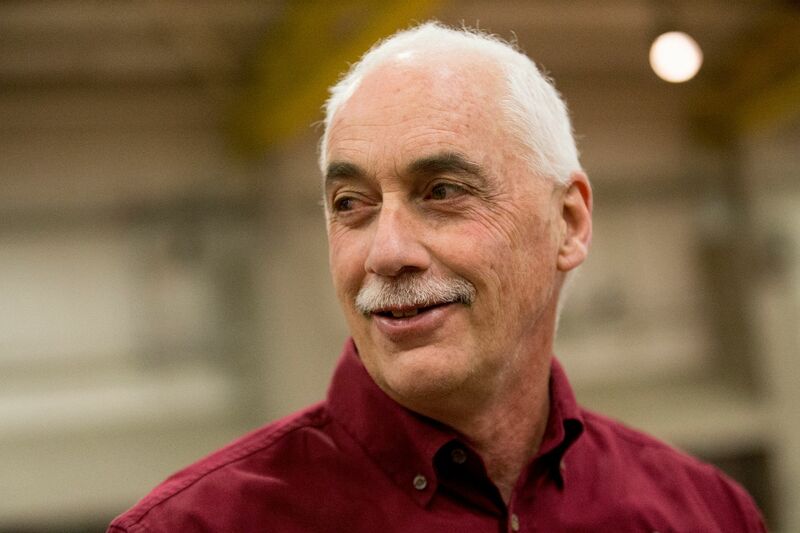 A Maine high school coaching legend, he had retired in the mid-1980s and then joined the Bates staff under Slovenski. With Woodhead coaching the throwers, Fereshetian was freed up to focus on building his program. Woodhead was a hammer and weight throw expert. When a Bates javelin thrower began to open some eyes — eventual three-time All-American Heather Bumps ’97 — it was time for Fereshetian to take on his first pupil. Bumps had earned All-America honors as a sophomore the year before Fereshetian arrived. Then in the spring of 1996 under Fereshetian’s tutelage, she set a Bates record that still stands today, unleashing a throw of 144 feet, 7 inches. In 1998, Billy McEvila ’99 won the national title in the 35-pound weight throw, the Bobcats’ first NCAA championship in the throws since Steve Ryan ’83 took home the title in the javelin 15 years earlier. In the 2000s, Bates throwers upped their game to a new level, with Liz Wanless ’04 winning national titles in the indoor and outdoor shot put in 2004. Wanless became the first Bates women’s track and field athlete to win a national title in any event. Meanwhile, Keelin Godsey ’06 was becoming the most decorated Bates track and field athlete ever. Earning an astounding 16 All-America honors in the throws from 2004—06, Godsey took home two national titles and set an NCAA Division III record in the hammer along the way. He later became the first openly transgender athlete to compete for a spot on the U.S. Olympic team. Woodhead had his throwers clicking on all cylinders, with Jamie Sawler ’02 (weight and hammer) and Noah Gauthier ’08 (weight) winning national titles during this period as well. 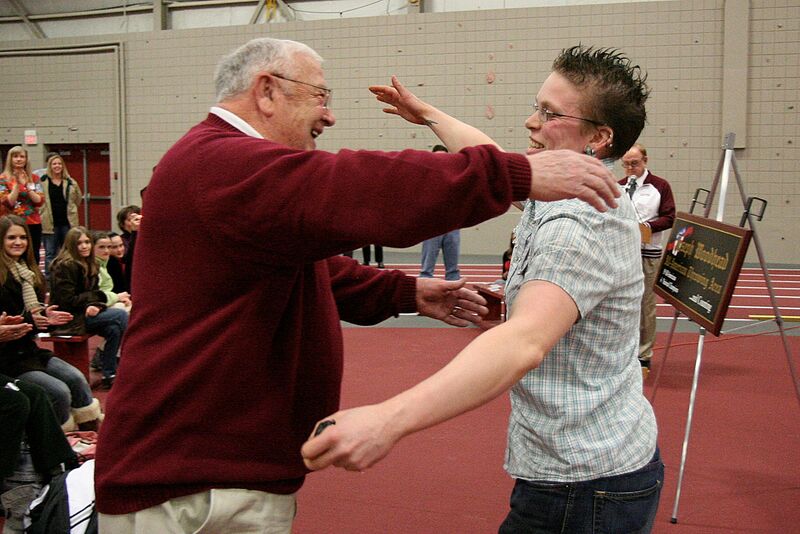 And in February 2009, following extensive renovations to Merrill Gymnasium and Slovenski Track, the throwing area was renamed the “Joseph Woodhead All-American Throwing Area” in a surprise ceremony for the beloved coach. And then, for sad reasons, there was a need for a change when, in February 2010, Woodhead fractured his femur in a collision with a Middlebury runner on the track at MIT. As he recuperated, Fereshetian stepped in to train the throwers. Three-time All-American Rich McNeil ’10 and six-time All-American Vantiel Elizabeth Duncan ’10 finished their careers on a high note with All-America honors that spring. But in October 2010, Woodhead died at age 76. “We were heartbroken. He was like a grandfather to me,” Murtagh said. Fereshetian’s coaching talents helped David Pless ’13 go from throwing the shot put 46 feet as a first-year to 56 feet and the indoor national title in 2011 as a sophomore. For the first time in his Bates career, Fereshetian got to present the All-America awards in the shot put because his athlete came in first. So Pless got his award from Fereshetian as did fellow All-American Ethan Waldman ’11. Murtagh, too, received All-America honors at the 2011 NCAA Indoor Championships, in the weight throw. Waldman’s father, Ira ’73, was at the meet. He will never forget looking at Fereshetian as he handed out the awards. Fereshetian cares deeply. He once drove Murtagh and Pless from Washington, D.C., to Lewiston, Maine, after their flight back from nationals got diverted. Normally the 600-mile trip takes 10 hours, but Murtagh was graduating the next morning. So they did it in eight. Fereshetian has been the steward of the Bates throwing legacy, but his throwers have also taken it upon themselves to keep it thriving. 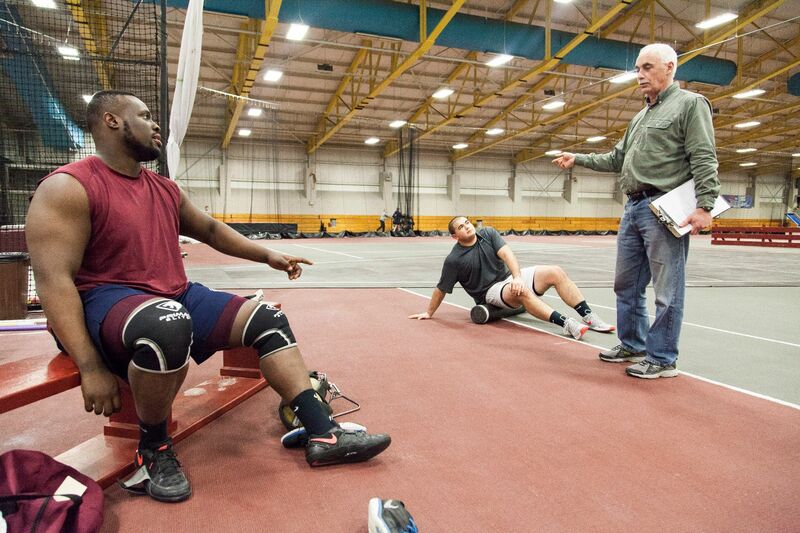 The passion for the program Bates throwers show every day mirrors their coach’s. During his time as a Bates thrower, Fakorede was often reminded of his responsibility to carry on the tradition. Those reminders came as texts, as Fakorede is part of a group chat that includes McNeil, Waldman, Murtagh, Pless, David Hardison ’13, Eric Wainman ’15, Sean Enos ’15 and Nick Margitza ’16. That is a combined 32 All-America awards, in case you are counting. Their strong back-and-forth with Fakorede kept him focused and motivated to do his best every meet. He heard from them whether he set a personal record or if he underperformed. 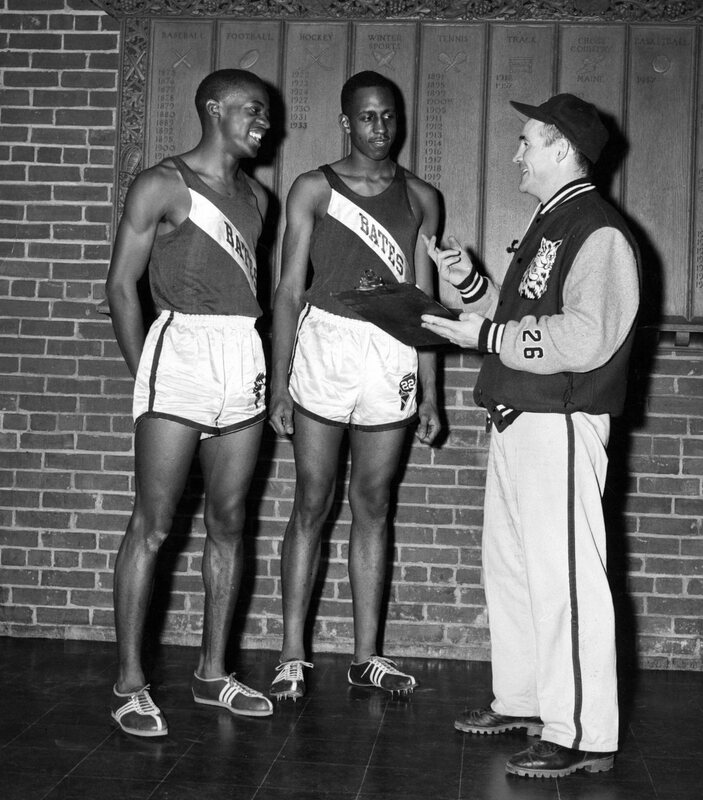 Enos, who earned nine All-American awards, was a senior when Fakorede was a first-year at Bates. Fakorede paid it forward by mentoring first-year John Rex of Andover, Mass. Rex, in turn, broke Fakorede’s freshman record in the hammer. On that perfect spring day, Fereshetian takes Fakorede and Rex to Dairy Joy following their workout, as promised. They start talking about baseball and Fereshetian brings up one of his favorite pitchers from years ago: Dan Quisenberry. Neither Fakorede nor Rex has heard of the former Kansas City Royals closer, known for his “submarine” style of pitching. They look intently, and Fereshetian smiles.